Malabrigo Book 9 - Ninos a collection of kids' knitwear designs. 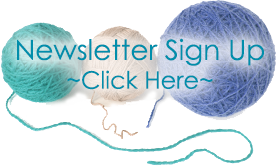 Features adorable patterns using Malabrigo Arroyo, Mecha, Rios, Chunky, Rasta, and Sock. Over 18 stylish patterns for any boy or girl! Malabrigo Book 6 in Cabo Polonio contains 16 patterns including accessories & garments. Classic Collection in White Book 276: Exclusive range of designs knit in DK weight yarn birth through 5 years. The Knitted Hat Book: Enjoy 20 knitting patterns that create beanies, tams, cloches, and many more hats for all seasons! Featuring projects from today's top designers, these hats are sure to turn heads. The 23rd Little Sublime Hand Knit Book contains 18 designs for baby girls & boys from 0-3 years.